Having accepted responsibility for a casualty, salvors are expected to endeavor to stop or reduce spillage in progress, to conduct salvage in a manner that minimizes the risk of further spillage, and to respond to spills that occur as a result of salvage work. This volume provides guidance to the salvor facing a major pollution incident resulting from a ship stranding, sinking, fire, collision or explosion. 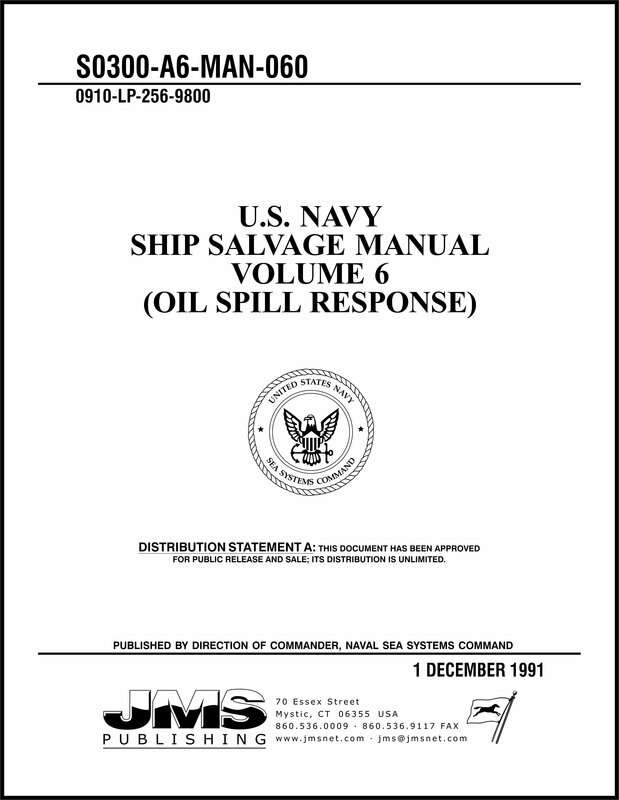 This volume is intended for use by all personnel who may be tasked to participate in oil spill response or contingency planning. Salvage and spill response efforts often proceed simultaneously, and may either complement or conflict with one another. Only a thorough knowledge of the methods and requirements of both efforts can ensure a smooth, successful operation.